The purpose of this thread is to help people with third gens understand what makes a car "desirable" and what makes a car "Rare" The two are not synonymous with each other. Two cars, Both were made in 1989, one is "Rare" the other is more common. The first car is a Camaro with an AM radio, there was only 49 of them with the option in 1989. 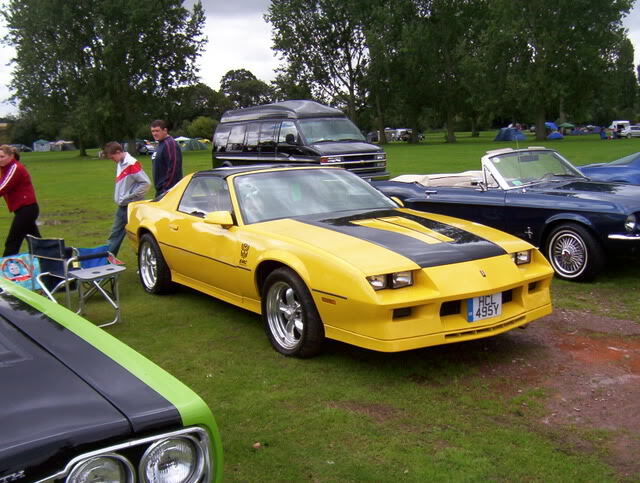 The second "More common" car is the Turbo Trans Am (TTA) they made 1555 of them. If we think of "Rare" as being valuable and the more rare something is makes it more valuable ultimately we are very mistaken... The 1989 TTA is worth WAY more than the Camaro with the AM radio, There should NOT be an argument about it, THIS is the way things are. To assume otherwise is futile and a waste of bandwidth IMHO. This leads us into what determines a car to be "DESIRABLE"... HISTORY tells us that there are a few factors that determines desirability. For the most part PERFORMANCE plays a huge role in determining desirability. Very few cars, that do not perform have significant value in today's marketplace, I cannot think of many except for a Silver Ghost Rolls Royce. The second thing that makes a car desirable is Style or appearance. Convertibles are almost always more valuable than equally equipped hard tops, Other than the 63-67 Corvette, I do not know of another single exception to this rule. So an otherwise identical Z28 Convertible with a LB9/M5 will be worth MORE than a Z28 Hard top with an LB9/M5 with similar options and the same condition, EVERY TIME. Take ONE of the above factors, such as "Performance" or "Style" and THEN combine it with "Rare" or at least unusual then you have something worth while. IF you Have BOTH then you REALLY have something that hits the mark. NOW, I created a list a while ago, this is the second version of the same list that some of you may have seen, I did add a few things, but nothing significant, and its a baseline to what I have believe to be cars that are worth collecting. Some models are not included, for example I did not include all of the LB9/M5 cars BECAUSE the information is NOT AVAILABLE. The following is a list of cars that I could easily decipher and quantify into a meaningful list that would shed some light on the question "Is my car RARE and is my car DESIRABLE" If you own a car that is on the list it has better chance to YES for both of those questions. If your car is NOT on the list it does not mean the car is not desirable or rare, it just means that its not on the list because I do not have access to the information. Some of the numbers overlap, for example there were 26 L69 Trans Am's in 1986, of those 22 were used in the Players Series... I made mention where I remembered. If you find errors, let me know and I will fix them. 2 (1988) VHO Formulas - Dealer Modified - Magazine Article states 3, but rumor has 1 1987 and 2 1988s. 662 (1983) Trans Am L69 5.0 H.O. 3,223 (1983) Z28 L69 5.0 H.O. 1-19-09 - Added 1C5 "California IROC" to list. 502 number has not been verified. 10-9-09 - Added Knudsen Tojan production... for kicks. 2-25-15 - Removed Notchback TTA as PAS does not recognize there was one ever made. Made into Notchback TTA. Maybe someone more knowledgeable than me can answer a question--did the production total of 705 1LE Camaros built in 1992 include the 589 B4C cars, which also had the 1LE code that year? Meaning only 116 cars were built in 1992 as strictly 1LE's, without B4C? Or are they separate totals, meaning that a grand total of 1,294 Camaros in 1992 had the 1LE code (705 1LE + 589 1LE/B4C)? I've tried to research this question in the past but have never seen a definitive answer. No, the 705 number includes the 589 B4Cs. I believe they should be separated into 1LE and B4C. How about the 550 Trans Am convertibles in '91 and 663 in '92? LB9 aside, I'd say that should make the list, no? And I'm going to go out on a limb here and say that an Autoform vert (also not on the list ... hard to get numbers for that I'm sure) will pull more cash than an '89 Formy 350 hardtop in the same condition. Last edited by gcgarner; 09-26-2008 at 09:55 AM. Does anyone have any hard numbers on the 1983 T/A Daytona & 1984 Trans Am 15th Anniversary cars? Last edited by okfoz; 09-29-2008 at 12:38 PM. 2,500 Daytona 500 Editions were made. Out of the 2,500 there were 2,347 with T-tops. Leaving 153 hardtop cars made. 1,980 had the LU5 Cross-Fire Injection engine and automatic transmission. 520 had the LG4 carburated engine and 5-speed manual transmission. Car: "92 RS Camaro B4C/1LE 25th Anniv. First off - Great list !! Ive got an original 50k mi ircoc 5.7l with power drivers seat and leather interior. Is it possible to find out how many 5.7l irocs were made with leather in 88'? I have some videos on Metacafe with my 1990 G92 optioned 5-speed IROC racing a 1989 5.0 Mustang GT... I raced a few 5.0 Mustangs, and they can't understand why the Camaro out-runs them...LOL!!!!! Here is the link to the video if interested, its only a couple of minutes. We raced a couple times. I also have footage of my IROC beating an LT1 powered automatic Z28 as well if anyone wants to see that let me know and I'll post a link for you. I had a 1988 IROC convertible with the G92 and GU5 options that I sold last year pretty cheap because I needed some fast cash, and I still can't sleep at night over that one. The guy even paid a shipping company almost $1,000 to send it across country to Arizona...LOL!!!! I'm a big fat dummy head.... should have kept it. But I'm looking for another....good luck, right. I'm actually a fan of the 5.0 Mustangs too... I guess growing up through the mid-late 80's I love the 3rd gen F-body and the Fox body 5.0 Mustangs pretty equal. Those Stangs are quick little bastards, but couldn't touch the 3rd gen's handling and braking ability. And coupled with a TPI G92 5-speed or L98 car, shocked many 5.0 GTs and LXs. Man, I miss the 1980s!!!!!! This is an amazing list. Thanks for all your effort in compiling the data. Since I own a '91 TA Convertible, my attention was drawn to that line on the list. You show 550 produced. When I did some research on this a few years back, I got two letters quoting different numbers. In 1992, Pontiac Customer Relations said 555 and, in 2003, Jim Mattison from Pontiac Historical Services said 637. Jim thought the difference was attributable to a small number built in Canada. Just thought I would pass this along. The only other number that was quoted to me was that only 120 of the '91 TA Verts had a 5 speed like mine. Just wanted to let you know us "hobbyists" appreciate your efforts. Most of this information no longer exists in a format we can use and share. I got the PHS number and I corrected it on the list, thank you. Personally I think a more likely problem is the fact that 1991 & 1990 for that matter are often intertwined. Some sources included Sept 1989 - sept 1990 for 1990 and sept 1990 - Sept 1991 for 1991. Since the production started in Feb of 1990 for the 1991 model year many 1991 cars end up on the 1990 production figures. Typically the information that is gathered that was was originally for Dealers so they knew what cars to stock. 3,940 (1990) IROC-Z Convertibles should read 1989.
and 729 (1991) RS Camaro Convertibles should read 1990. Hello everyone, I am new to the third gen camaro's. My friend was going to send his 1985 IROC-Z off to pick a part. I noticed it had 4 wheel disc brakes so I thought if nothing else I could used the rear end for a 1955 chevy big window project so I gave him what pick a part was going to give him($200.00). While researching the rpo's I found it has The G80 posi with GU6 3:42 performance axle. I read that there were only 205 1985 IROC-Z's made with the G92 performance pkg. Does anyone know this to be correct? If it is correct I think it should be on the list and do you think it will become desirable in the future? If so I will find another rear end for my project. Thanks, and this looks like a great website. Is there some link to what your referring to? Last edited by okfoz; 11-18-2008 at 09:25 AM. Basically, if you have to do multiplying and fractions or any math at all to prove a car is rare, it isn't. Either buy or don't buy the car based on it's own merits, not some convoluted conclusion about it being an uncommon combination when you take every RPO code into account. thanks - I like your math, that is actually pretty good guess on how he came up with the number. I have owned the since it is new - I am not interested in selling it or save it because I think it is worth money, I just like the car and want information about it. Does anyone know if there are numbers for export versions? I have Japanese spec 1991 Z28 Vert and need to know how many were produced? By Japanese spec, I mean I have RPOs for Japanese manuals (which I have) and Japanese radio codes and lighting. Can anyone help out with finding if there are production or export numbers for this? Last edited by iloverocs; 11-24-2008 at 09:18 PM. It is definitely a heavily optioned car but not particularly rare. Just curious – I did not think you could get a 5.7 with T-Top – is that true or false? Yes you could get the 350 with T-tops there are a TON of them out there. You could even get a Convertible with the 350 .... kinda... 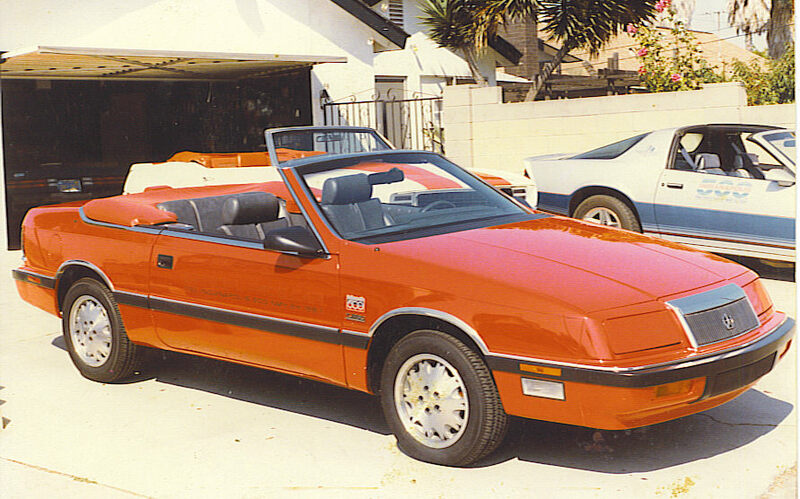 There were about 200 Convertibles with the 350 created from 1987 - 1989, most of them being Firebirds in 1989, I own one. Might that be 1989? You once quoted me the number of '89 'verts. I don't remember what the number was, but that sounds familiar. But whatever it is, I'm thinking there were few enough to have made the list, yet I didn't see them. Perhaps I simply overlooked them? What a great list. Thanks for putting it together. it looks like it took a lot of hard work. The list has the 21,176 1986 Trans am LB9 how about the 18,680 IROC-Z with the LB9. 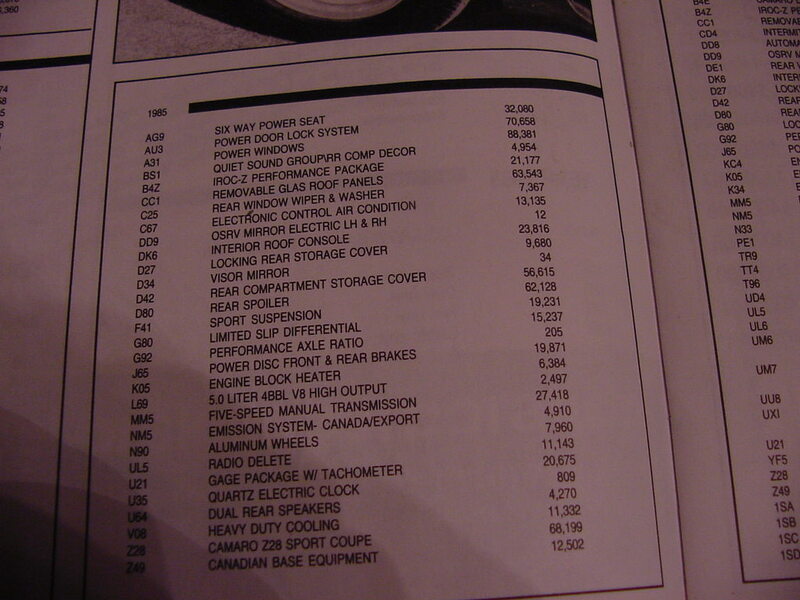 The 1986 Z28/IROC with the LB9 according to the White book is 46,374 What year are you talking about? I do not have access to that information... White book or otherwise, if you can verify the information then sure... Unfortunately there would have been definitely 2 engines if not all three V8's that could have potentially had the G92. The list I try to break out the Engine and car production, the G92 without the engine creates some duplication, which I have attempted to avoid, unsuccessfully in places but an attempt nonetheless. Chances are the "G92" was part of a package for example Most of the LB9's in 1985 got the 3.27 gear, there was no other axle option off the top of my head. So they may not have had the G92 RPO listed as the "Performance Gear" would have been standard anyways. My 1987 Formula LB9/M5 is that way... It has the G92 options BUT it is not listed on the SPID sheet. IIRC the L98 on the IROC in 1987 is also listed that way... Has the G92 options BUT it is Not listed on the SPID sheet... Scott would have to verify for me. Sorry,I was talking about the 1985 Iroc-Z LB9 with 18,680 made. here are some numbers for the 1985 camaro. They come from Len Williamson, he has taken every production option by code from Chevrolet since 1953 and compiled two huge note books full of production numbers thru 1990. his reference work is used by the Chevrolet customer service. 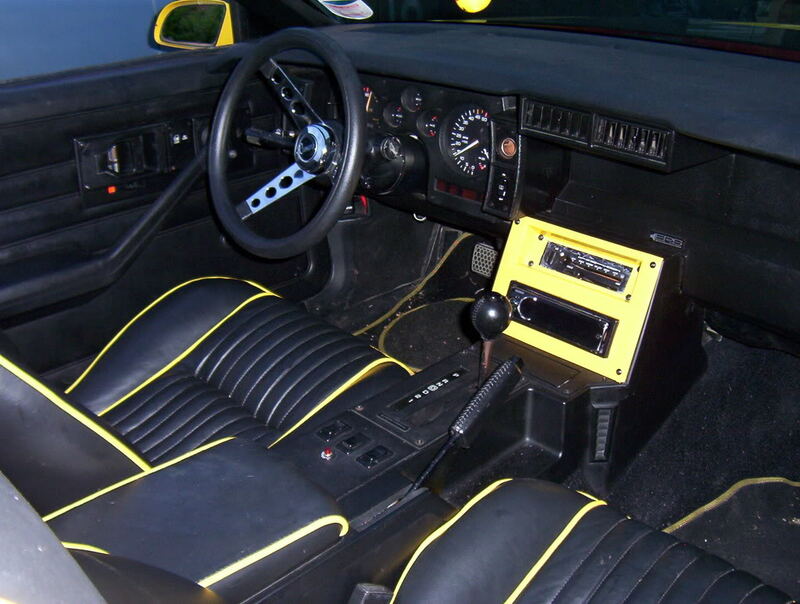 The 3.23 was the standard ratio for the IROC-Z LB9 with the 3.42 option G92. In 1985 the G92 performance axle was only available on the IROC-Z LB9 automatic. I did not see a reference to the LB9 in that pic. I was looking at your avatar and you state that you have a 2.2 L Turbo, and a 1987 Indy Pace Car Convertible... What is the story behind that, sounds like an interesting car. It comes from the United states camaro clubs march-april issue of the camaro corral 1992 special issue 3rd generation camaro's. I have an extra issue if you want to pm me your address i'll send you a copy. The 85 IROC LB9 number is the 21,177 IROC'S minus the 2,497 L69 IROC's. The 87 indy pace car is one of 40 pace cars deliverd to so cal. in 1987. My father bought it new and when he passed away he left it to me. I just noticed you have two numbers for the 1982 Z/28 LU5, I think you ment 1983 Z/28 LU5 prod. 19,847. Last edited by mr396; 12-09-2008 at 02:35 PM. I've got an '83 LU5 Crossfire with posi rear, electric driver's seat, t-tops composite hood with functioning flaps. Probably not rare when it was made but I'm in England (so there's not too many here) but its still running and I've been watching eBay and good ones are not coming up regularly. It has been resprayed and has a leather interior (colour matched) and is now wearing American Racing rims. Mechanicaly, its original except for a 5.7 Goodwrench. Guys at House of Camaro told me that its very rare now, especially to be a good runner and with no rust. Things may not start out rare but they can become it. Honestly it seems that there were several problems that caused people to pull the LU5 for a 4BBL. I have even read where there are conversion kits to install a TPI. It seems about half or more of the LU5 cars have been changed to something else... As that happens the value of those cars in nice shape like yours appears to be go up. Things may not start out rare but they can become it. I definitely agree with that statement, I've seen this too many times where people wished they kept cars they've had in the past that didn't seem to be valuable or rare but eventually were worth a fortune. Dad recalled seeing Superbirds just sitting in used car lots for three grand. I am planning on taking my car to Hershey this year if it will make the run without problems. We will see how many of the early third gens show up for the fall meet. Post some pics for us in old blighty! According to my decifer of vin...there are either 33,*** or 233,***. I don't know why the extra # is there. I have searched thoroughly about this and come to no conclusion. but everything checks out up til the 233***. Last edited by okfoz; 12-31-2008 at 11:46 AM. but everything checks out up til the 233678. First off welcome to TGO. Nice to see another '84 being saved from the crusher. As you might see from my avatar I have a Grey 84 TA with silver striping. Originally it had an L69 and a 5 speed. But because the original engine blew up I swapped for an LG4 keeping all the original external L69 pieces. I do have a couple of words of advice and an answer to your confusion. My first advice (you are a newer member who doesn't seem to post much so just a helpful hint) Don't post your whole VIN number on TGO. Its been stated that there have been problems with VIN numbers being posted on the site. Just a little helpful advice. I am sure JT will edit that if you don't. Secondly the last six digits are a build sequence number. They have nothing to do with how many of a certain car was made. Don't forget there are ordinary Firebirds being built on the same line as Trans Ams as well as Camaros. I am sure others will be saying the same thing. Good luck with that project hopefully you will have better luck than I did. Last edited by L695speed; 12-30-2008 at 12:12 PM. Reason: for some reason I keep on thinking JL is JT I need to remember the T LOL. I will post alot coz I have many many Q's about my car. Also thanks for clarifying the vin #'s too. I was under the impression that was the actual production #. L695Speed is close, but he did not completely explain it. Pontiacs start with 200001 as their first car in a sequence, Chevrolet starts with 100001. The 2 indicates Pontiac, and the 1 indicates Chevy. In effect your car was the 33,***th Pontiac Firebird from that plant in 1984. In 1984 there were two Assembly plants making F-bodies. Van Nuys CA, and Norwood OH. BOTH plants started with number 00001. What is really strange is you could technically have two identical cars made in the same year, and have the same VIN sequence, same engine, trans, options etc, the difference being the norwood car would have an "N" and Van Nuys an "L" in the VIN. Thanks for finishing the explanation John. I knew there was more to it but I didn't want to add to the confusion by going into detail. As I stated I knew there were folks who knew more than I did. I just addressed the number at the end and posting the whole VIN. Anyway I wasn't totally clear on it as well. Like some people say if you don't know enough just state what you know and mention that others might know more. LOL. This was new to me too now I need to look up what mine was from Norwood. What is even more interesting is some years, I think it was 1985 (without looking it up) they skipped a bunch of numbers, Chevy (Van Nuys Cars only) went from 100001 to 11????? and then 41???? to end at just over 500000, Pontiac did the same thing, they going from 22???? to 62???? up I am not exactly sure what the exact sequence number they changed the first number at, but they did, and it is not clear why. Last edited by okfoz; 12-31-2008 at 03:59 PM. how many 87 iroc-z z28 did they make? i have the L98 code so i think there was 12,105 of those but how many they make all together in 87? Last edited by yo soy el warg; 01-17-2009 at 04:16 PM.